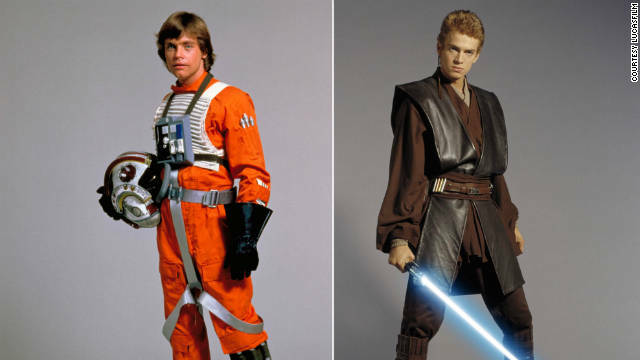 Which "Star Wars" costume would you rather your child wear for Halloween? Parents try, with varying degrees of success, to shape our kids’ pop culture tastes. For many a geek mom and dad, this extends to Halloween — or as I like to call it, a day of nationally sanctioned cosplay. Of course, even the gentlest suggestion is a form of projecting. (“What’s not to like about this Wolverine costume?”) But even if they bite, it’s only a matter of time before they start, you know, thinking for themselves. My son and I were on the same page when he first discovered the original Star Wars trilogy a few years ago. He latched onto those movies in a major way and displayed the all-too-familiar enthusiasm that drove my mother nuts from roughly 1977 to 1983. In ways good and bad, the apple didn’t fall far from the tree. How to talk to your kids about "Star Wars"
Enter the Prequel Years. Slowly but surely, he began to fall for the despised “Phantom Menace,” “Attack of the Clones” and the slightly less awful “Revenge of the Sith,” which he’s only seen in parts because of that whole leg-amputating, flesh-burning thing. These films are watchable only because Ewan McGregor did such a solid Obi-Wan, but they nevertheless became his favorite of the six. Anakin — I’m sorry; “Annie” — was his ace and there was nothing I could do about it. I let it go.